There is a reason classic recipes stick around and continue to be made year after year. These recipes are simple, delicious, and don't need reinventing! 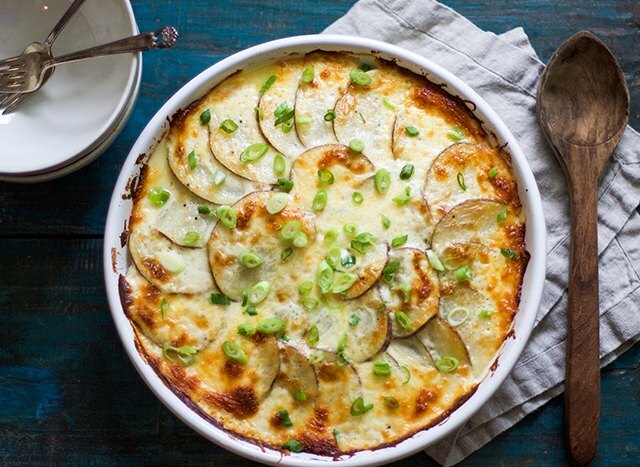 Potatoes au gratin are similar to scalloped potatoes, but with a cheese topping or sometimes even a buttery bread crumb topping. Both are delicious and require potatoes being cooked in a decadent creamy sauce. Let's be honest though: if you are like me, you probably put cheese on all of your potatoes no matter what the recipes says! I am going to show you the basics on making potatoes au gratin that will be the perfect addition to your Sunday supper. 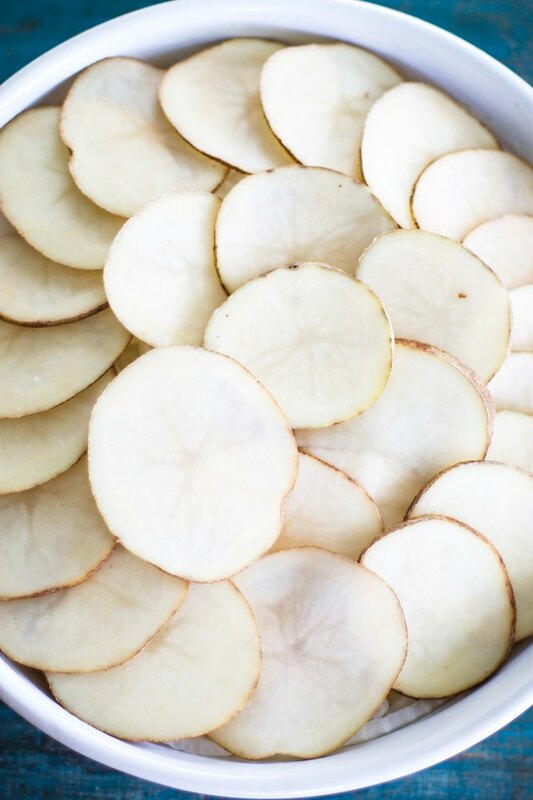 Prior to slicing, peel the potatoes if you desire. I happen to love the look and taste of leaving the skin on. 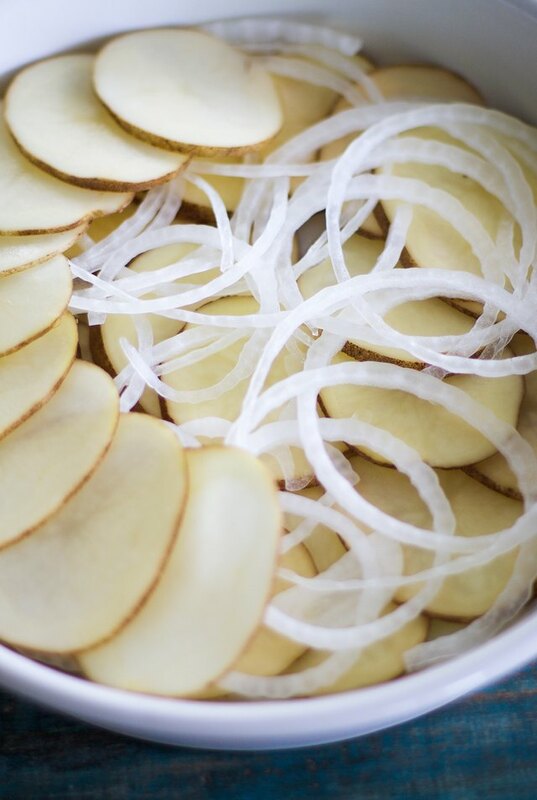 Next, slice the potatoes very thin along with slicing the onion into thin rings. Set aside. Spray the baking dish with non-stick spray and then layer the first layer of potatoes in the bottom of the dish. Next, layer the onion slices over top of the potatoes, and repeat until the baking dish is full. Heat a large saucepan over medium heat. Add flour and butter and whisk for 2 to 3 minutes until flour has cooked slightly. 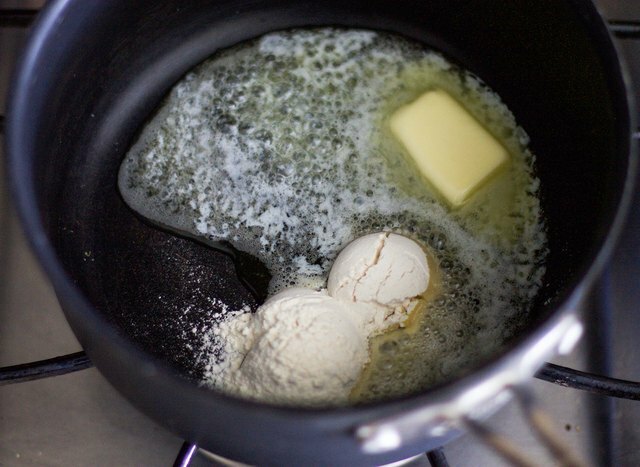 Whisk in milk to the butter and flour, and continue to stir until liquid coats the back of the spoon letting you know it is the right consistency. 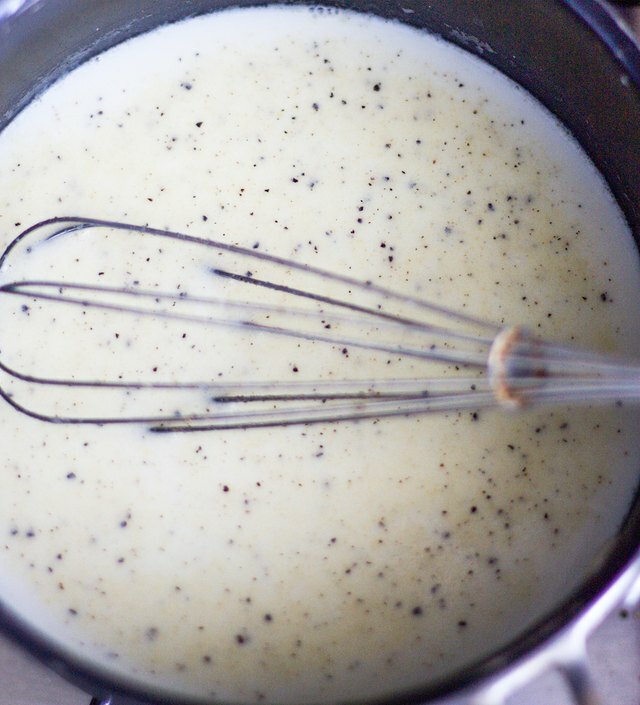 Season the cream sauce with salt and pepper. 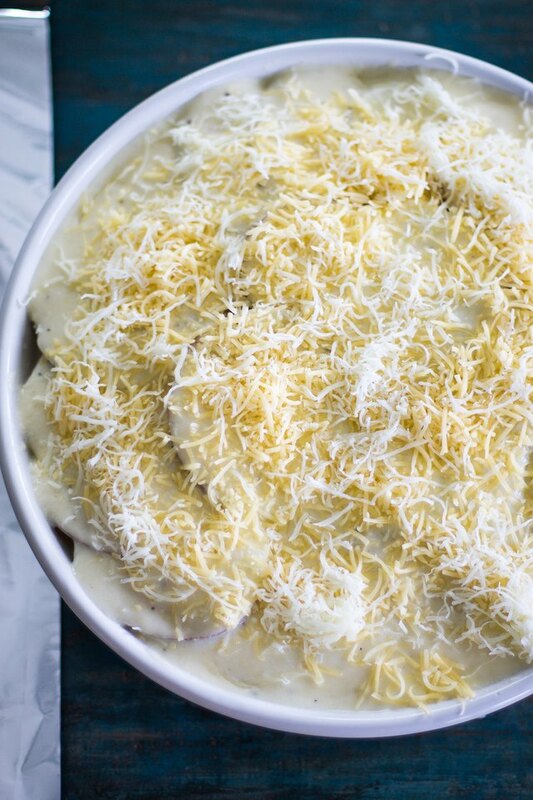 Add the cheese to the cream sauce, reserving 1/2 cup for topping the casserole before baking. Once the cheese has melted, pour the cheese sauce over the layered potatoes letting it coat all of the potatoes. Top the casserole with the remaining shredded cheese. Cover the potatoes au gratin with aluminum foil and bake for 1 1/2 hours until the potatoes are tender. For the last 15 minutes of cook time, remove the aluminum foil and let the cheese brown on top. Let the casserole sit for 15 minutes and top with chopped green onions if desired. 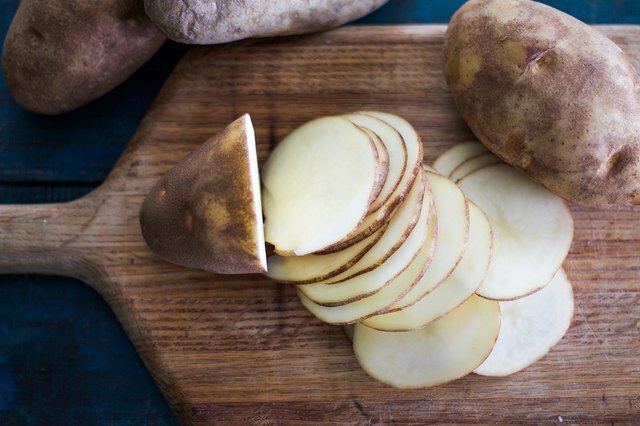 Whip up this classic potato recipe and your family will thank you. 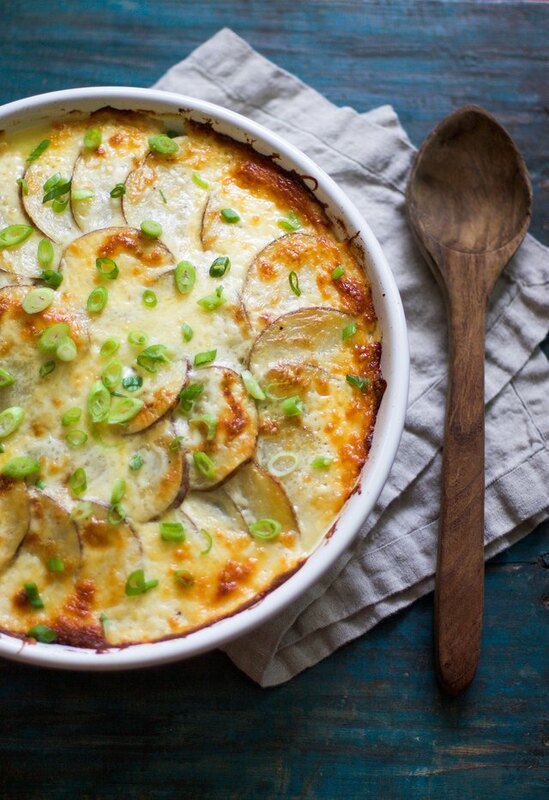 There isn't anything more comforting than a cheesy potato dish... and you will love this one!